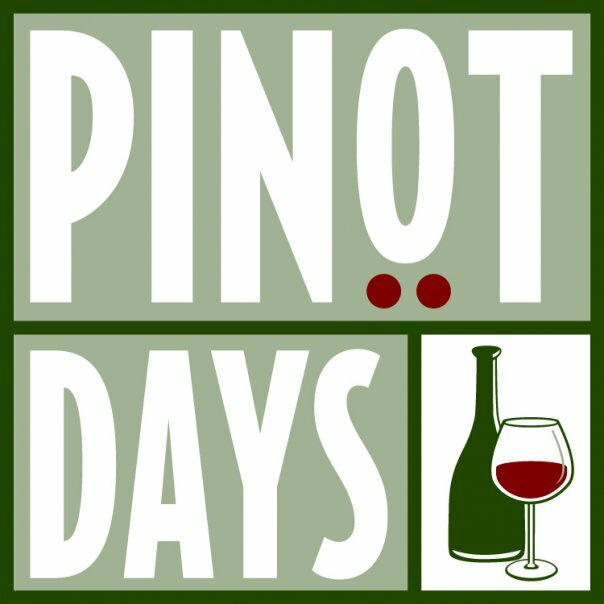 Be sure to check out Pinot Days’ Facebook Fan Page and Group, follow them on Twitter and order tickets to all five days of events! And now…5 Questions with Lisa from Pinot Days! 1. 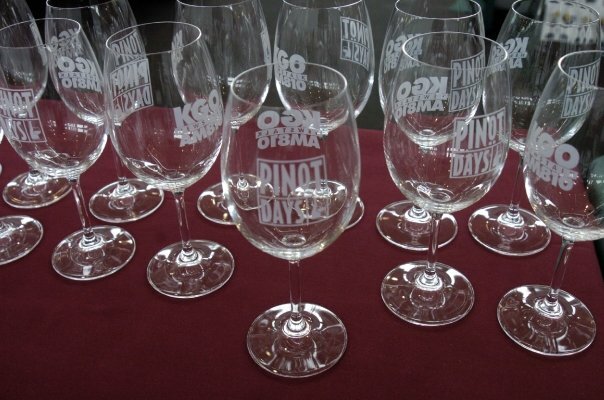 Ward/WineLog (Twitter): This year marks the 5 year anniversary of the inaugural Pinot Days Festival. What all do you have planned for this year’s five days of Pinot? Lisa Rigisich (Twitter): So much! Six thematic Focus Tastings, a Westside Road Tour, a Winemakers Dinner, a number of retail store tastings, and the highlight, the Grand Festival, showcasing 200 Pinot producers. I think the most exciting aspect of all of these events is that the winemakers show up and pour, and tell their stories. Pinot is different that way – the winemakers are so gifted and passionate – it’s not a business to them. It’s an art, and of course you want to be at your own art showing. They want to be a part of it. They want to meet their consumers and talk about the perils and victories of making Pinot. Our Focus Tastings are probably my favorite – we feature 16 Pinots within a given theme and the winemakers join us, and they talk about the wines with the attendees very openly – not in a stilted, fancy wine word way, but casually, accessibly, easily. So we get to talk with folks like Bob Cabral, Merry Edwards, Ed Kurtzman, Jeffrey Patterson, Gary Pisoni, Richard Sanford. We taste the wines blind. And the wines are phenomenally good. It’s a lot fun, and, well, accidentally educational at the same time because there is no better way to learn about Pinot than to taste really good Pinots side by side. 2. Ward/WineLog (Twitter): The first festival was the same year as the release of Sideways, the now famous movie that was based on the book by Rex Pickett and sparked a huge surge in Pinot popularity. Was the “Sideways-Effect” an impetus for the first festival, or was the planning already in effect? Have you seen a boost from this cinema-inspired popularity? Lisa Rigisich (Twitter): Well, I risk “outing” our original, total lack of qualification as event planners, but here goes. We had set a date for the first Pinot Days and sold about 200 tickets, intending to feature about 30 producers. 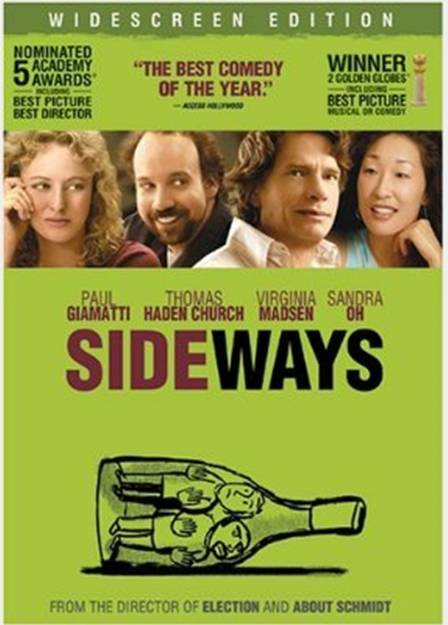 Then, a couple of months before the event, Sideways was released and suddenly we were selling hundreds of tickets, and calling more Pinot producers asking them to come and pour. It was nuts. By trade Steve is a software engineer and I’m an English Professor, so we were pretty much totally unequipped experience-wise to pull off an event with 100 producers and 1500 attendees, but that’s what we were facing. It was baptism by fire. And now we’ve more than doubled in size, which is less a testimony to Sideways (which indeed got Pinot noticed) and more a testimony to the grape itself and the artists who make it. Pinot is like Miles in Sideways – thin-skinned, insanely gifted, fragile, brilliant, complicated – when he is good he is a genius, and when conditions are not ideal he is a mess. You want to befriend Miles and make conditions ideal for him because, at his best, he is far more stimulating and fortifying and interesting and inspiring than your “easier” friends. 3. Ward/WineLog (Twitter): You and your husband founded the Bay Area Wine Project after your move to California from your longtime digs in New York. What drove you to create the BAWP and what is it all about? Lisa Rigisich (Twitter): We moved here and discovered a festival dedicated to Zinfandel and one for Rhone varieties, a number of festivals featuring various varieties, but there was no festival dedicated to Pinot Noir, which is by far our favorite. In fact, Pinot and its producers were sort of like the poor stepchild amidst the golden siblings, which is just so wrong! Pinot Noir is the golden child, but it doesn’t brag about it so some people don’t know it. Anyway, Steve and I decided to create a non-profit dedicated to promoting the noble grape and the really wonderful, passionate people who make it. 4. Ward/WineLog (Twitter): It is quite clear that Pinot Noir is your favorite varietal and grape variety. 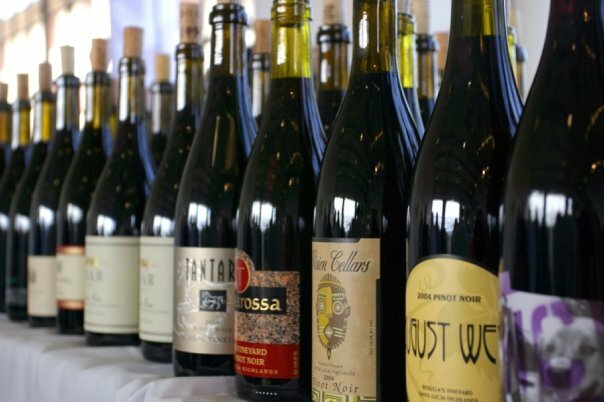 What is about Pinot that fascinates your palate above all other varietals of wine? Lisa Rigisich (Twitter): Oh, the fact that it wears its world – its earth, soil, neighbors, seasons, the hands that shape it. Pinot embodies romance because, like romance, you can’t predict it. So much can go wrong with it. But when a gifted winemaker gets it right, it is so far beyond any other variety. It has amazing versatility of style. It can be shy and elegant or confident and dark. There is such variation between regions, vineyards, vintages. To say that there is a Pinot for every palate is not an exaggeration, but I think, an understatement. And I don’t even get me started on how Pinot pairs with food. There just isn’t a better all around food wine. Pinot is it. 5. Ward/WineLog (Twitter): Following the no doubt, successful fifth run of Pinot Days, what is in store for the rest of the year, for next year’s festival and for the Bay Area Wine Project? Lisa Rigisich (Twitter): We’re really excited about the new Pinot Days Blog. 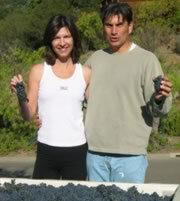 We’ll offer Pinot insight, mostly, and winemaker profiles, tasting notes, tales of tours, histories. Pinot Noir creates such a community between and among consumers and producers. We want our blog to invite that and represent it. Personally, as frustrated writer producing Pinot events, I just can’t wait to write about Pinot! We’re also launching a new Pinot Days website which will be home to all things Pinot – resources, recommendations, travel plans, pairings, as well as a number guest writers whose expertise and taste leans to one style of Pinot or another. We’ll announce the new site and blog in late summer after the event dust has settled. 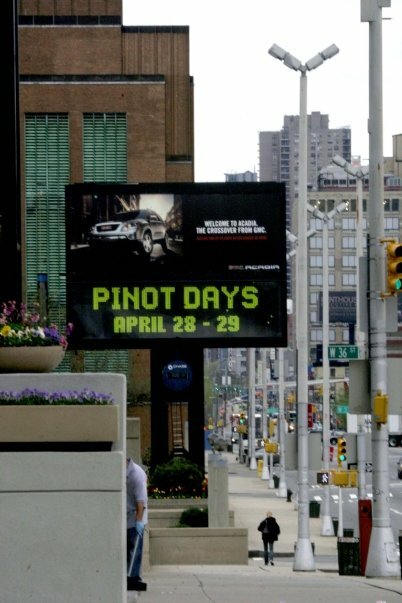 Of course we’re returning to Chicago for our Third Annual Pinot Days Chicago on November 14th. What a receptive, amazing city for Pinot. Pinot Days doubled in size from our first to our second year. We can’t wait to go back. And we’re looking at adding a new city in 2010 – stay tuned for that. Once again, be sure to check out Pinot Days’ Facebook Fan Page and Group, follow them on Twitter and order tickets to all five days of events! You had me at Question #1… I really get a lot of value out of conversing with the winemakers and learning all I can about their craft and their styles. Furthermore, my wife and I are Pinot-philes as well. Unfortunately, we cannot make it this year, but are already planning to attend in 2010. As a replacement we will be doing the TasteLive event online this Thursday… won’t be the same, but we’ll be drinking Pinot, so that’s awesome enough! Hello Ed! Thanks for checking out the post. It appears that we’ll be swapping events as I can’t do TasteLive! this time! Have a great time this Thursday and I hope to catch some of your tweets.